It’s time to cross the finish line! Photo wallpaper - It’s time to cross the finish line! Race, will to fight, will to win. What else drives you to stand on the start line? May adrenaline and emotions sustain after the race. Move a part of a track to your room. 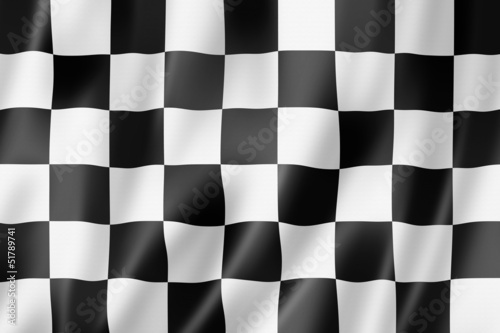 May the photo wallpaper depicting a racing flag be an addition that will remind you of any moment – the first, the last and the most important one.